Dublin might be a cut above the rest in the Leinster football championship, but their dominance hasn't robbed the series of its competitive edge. 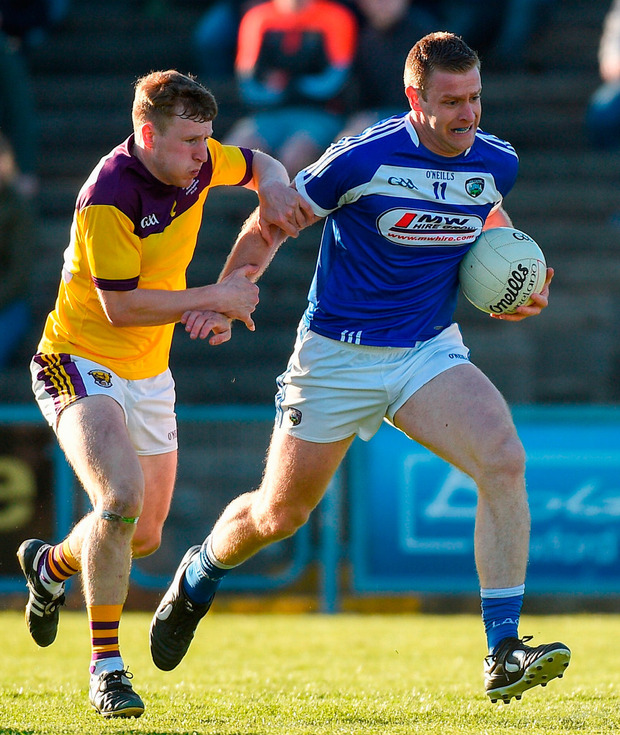 Division 4 champions Laois, and Wexford who were relegated from Division 3 this season, served up a thrilling contest in Wexford Park last night which was finally decided in extra time which the visitors dominated. But it was Laois who took the initiative in extra time with a goal from Kieran Lillis in the first period proving the decisive score as the visitors hit 1-6 while a tiring Wexford could only manage 0-3 in reply. Laois now advance to meet Westmeath in the provincial quarter final while Wexford will be hoping for a change of fortune in the qualifiers. 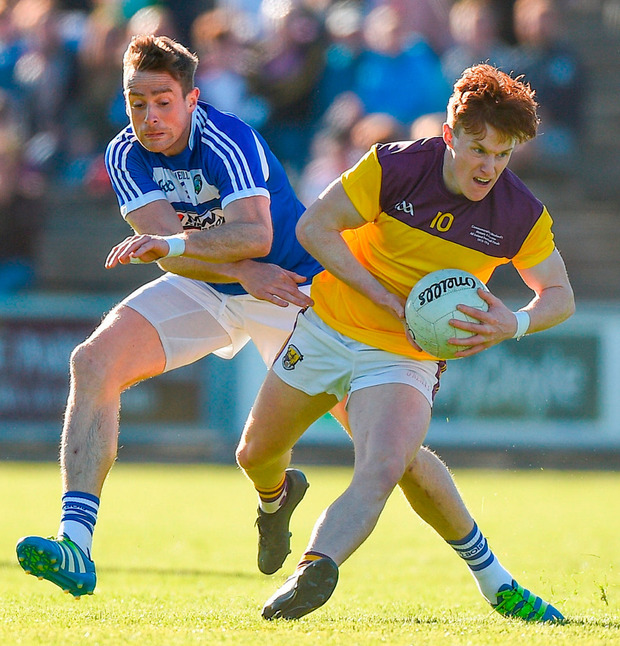 Aided by the breeze Wexford completely dominated the first half - they were three points up after just four minutes with late replacement John Tubritt, the game's top scorer from play with 0-5, causing problems for the Laois defence. By half time Wexford led 1-10 to 0-3 their goal was scored by centre back Naomhan Rossiter who was set up by his brother Tiernan, but the home side lost full-back Jim Rossiter through injury just before the break which was to prove significant. Donie Kingston and Ross Munnelly led the Laois fightback in the second half as Wexford fought a rearguard action. Still Tubett's fifth point from play in the 67th minute seemed it might be enough to send Wexford into the next round. But Laois were then awarded a very dubious penalty for a foul on substitute Niall Donoher. Donie Kingston calmly slotted the kick to tie up the scores for the first time since the throw-in. But the drama was far from finished. In the third minute of the allocated four minutes of injury time Wexford's Brian Malone was hauled down in the opposite penalty area by Stephen Attride. Predictably, Donal Shanley opted to kick the penalty over the bar. But as the contest ticked into the fifth minute of injury time the referee allowed Laois one more chance. Goalkeeper Graham Brody again joined the fray but it was corner-back Gareth Dillon who held his nerve to kick the equaliser and send the contest into extra time. 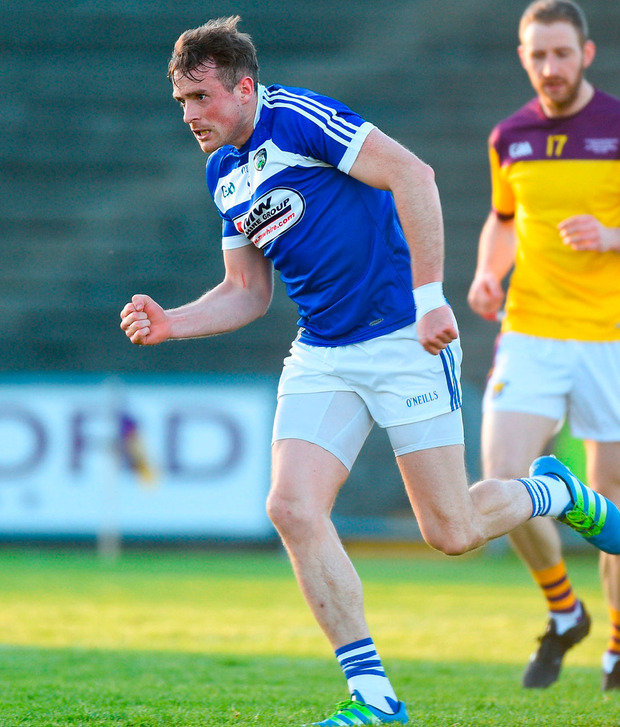 Laois: G Brody; R Fennell, M Timmons, G Dillon (0-1); T Collins (0-1), C Begley, S Attride (0-2); J O'Loughlin, K Lillis (1-0); A Farrell, D Kingston (1-6, 1-0 pen, 3f), D O'Connor; R Munnelly (0-5, 3f), D Conway (0-1), G Walsh (0-1, 1f). Subs: B Carroll for Walsh ht; N Donoher for Farrell 47m; P Kingston (0-3) for Fennell 50m, D Strong (0-1) for Conway 59m, T Shiel for Munnelly 66m. ET: F Crowley for O'Connor 75m; D Booth for Dillon 86m, D Holland for Collins 88m.